To build a low-carbon, climate resilient future is a task that cannot be carried by the public sector alone. Private sector actors have, in fact, a vital role to play: from providing access to new technologies, products and services, to channeling their energy and investments towards sustainable solutions. 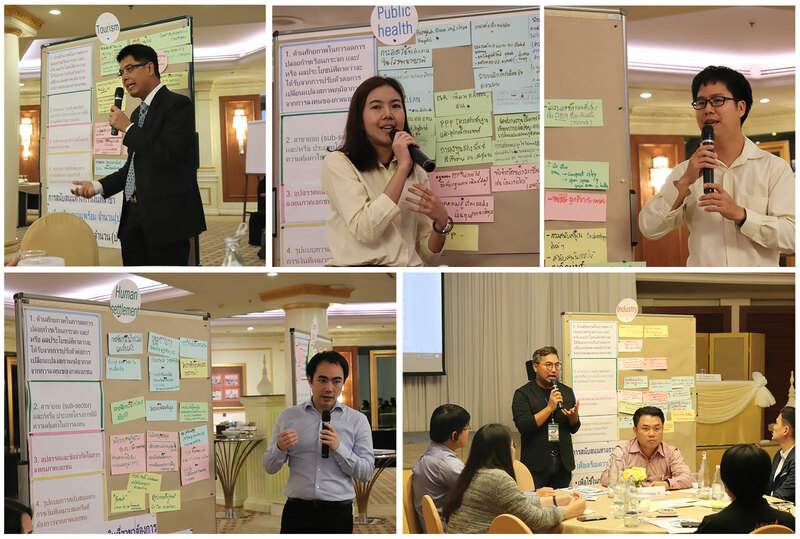 A recent workshop was held with the aim to map investment opportunities and barriers in key sectors for accessing the Green Climate Fund (GCF), and to put forward policy recommendations for overcoming the barriers. 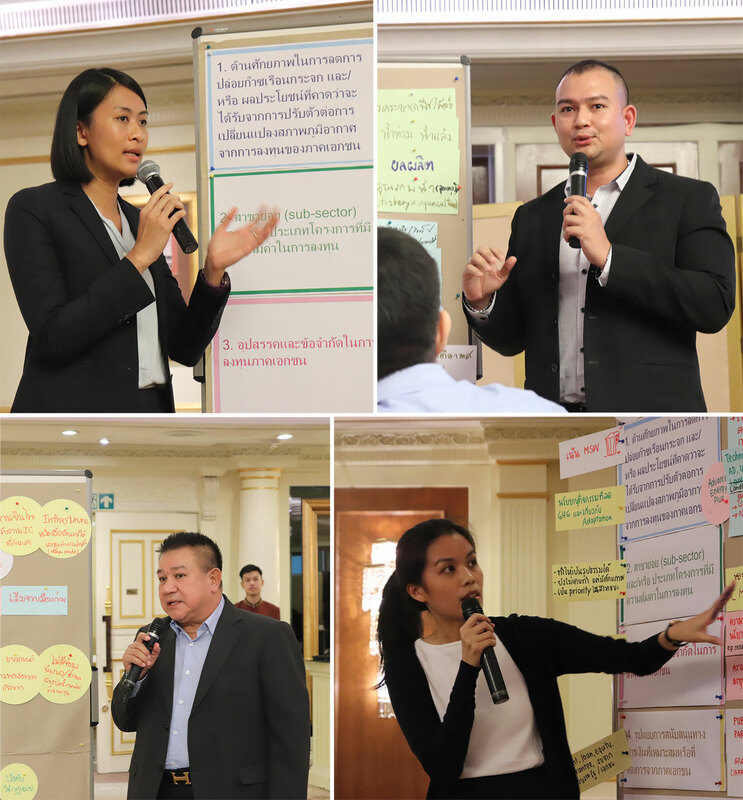 As National Designated Authority (NDA) of the Green Climate Fund (GCF), The Office of the Natural Resources and Environmental Policy and Planning (ONEP), together with GIZ and the Creagy, organised a stakeholder engagement workshop on 28 September in Bangkok. The event, titled “Selecting Potential Sectors for Mobilising Private Sector Investment with Green Climate Fund Support”, aimed to enhance knowledge and understanding of the GCF of key private sector actors, together with the opportunities for the private sector to access the Fund. All participants were active in sector of high relevance for mitigation and adaptation efforts. Stakeholders were then asked to assess potential areas, investment opportunities, barriers, and financial instruments needed in each focused sector. for effective private sector engagement with the GCF in tackling climate change. The workshop focused on 8 sectors cross-cutting both mitigation and adaptation, namely industry, agriculture, waste management, transport, tourism, land use, human settlement and public health. Four of these will be selected for in-depth analysis and for which policy recommendations will be put forward. 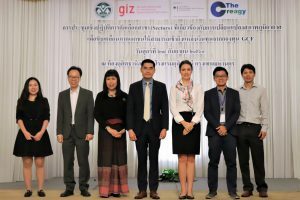 On behalf of the GCF’s Readiness Programme and the German Federal Ministry for the Environment, Nature Conservation and Nuclear Safety (BMU), GIZ implements the 2-year “Scaling up Thailand’s climate finance readiness” Project. In close dialogue with ONEP, a GIZ’s team of national and international experts supports ONEP, in its capacity as focal point to the Fund. Part of the support includes disseminating GCF knowledge to key stakeholders and highlighting engagement opportunities with the private sector. ONEP was officially mandated by the Thai Cabinet to act upon all matters related to climate finance in 2017. This includes the country’s engagement with the GCF. Climate finance supports climate actions, i.e. activities that reduce emissions (mitigation), or which supports countries to adapt to the impacts of climate change (adaptation).